Imagine stepping out of your bed onto comfortably heated floors, instead of the cold and shocking sensation of icy floorboards. Imagine your toes being greeted with warm tile when getting into your walk-in shower. No more frigid surfaces for sensitive feet and toes. If that is something that you want to have every morning, then you may want to consider installing Radiant Floor (heating) in your home. 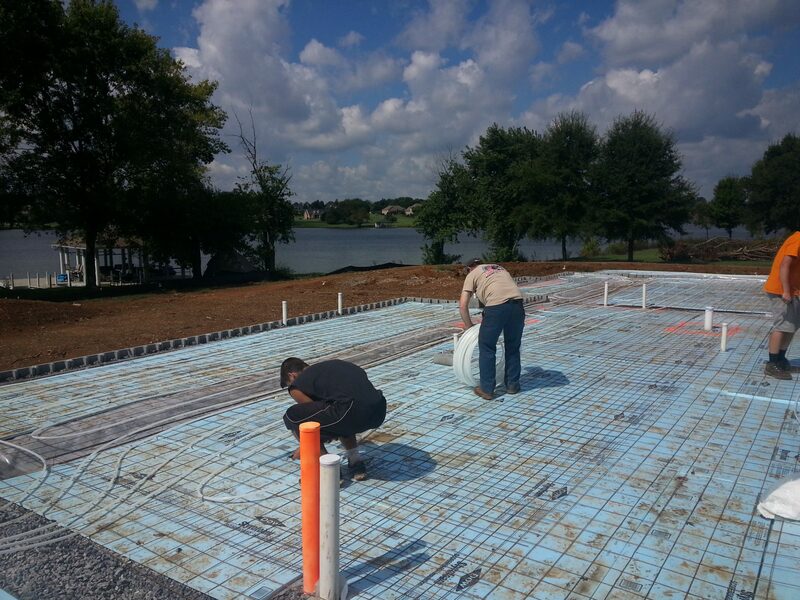 Radiant Floor Heating (RFH) involves installing water-heated tubing under your floors. The heat from the floor warms everything it touches and radiates throughout the room from the ground up. The tubes under the floor are made of polyethylene (PEX) and are leak-free, non-toxic, flexible, and capable of handling high temperatures. Think of Radiant Floor Heating like heat from the sun. On a sunny day, if you step from the shade into the sun, you’ll feel warmer even though the air temperature is basically the same. This is how Radiant Floor Heating works. The temperature throughout the room is more constant than with your standard forced-air system where the air rises, cools and then falls to the floor. Aside from basking in consistent warmth from the floor to the ceiling, some people look for savings benefits with RFH systems. More economical to operate than furnaces, according to the U.S. department of Energy, RFH can slash heating costs by 25 to 50 percent. New homes are the best candidates for a whole-house RFH system, but your existing home can also be successfully retrofitted. Some people with older homes choose single-room installations, like a kitchen or bathroom, instead of a whole-house system for the best bang for the buck. Because a radiant floor heating system is designed in multiple zones, you have the luxury of changing the temperature for each room, depending on its intended use. This zoning makes the system even more energy efficient because unoccupied or lower-use rooms (such as a guest bedroom or formal dining room) can be set to a lower temperature than rooms with greater use (like a kitchen, master-bedroom, bathroom or basement). Additionally, maintenance for RFH systems are minimal since modern pumps use water to lubricate the parts and are low-maintenance. 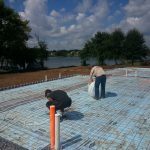 A & C Trades installs Radiant Flooring Systems (both Hydronic and Electrostatic) in the Knoxville Metro area and offers free estimates. If you are interested in relief from those cold mornings please contact us at your convenience.